The sign at Memorial Park has been up for a week or more but it's official now. 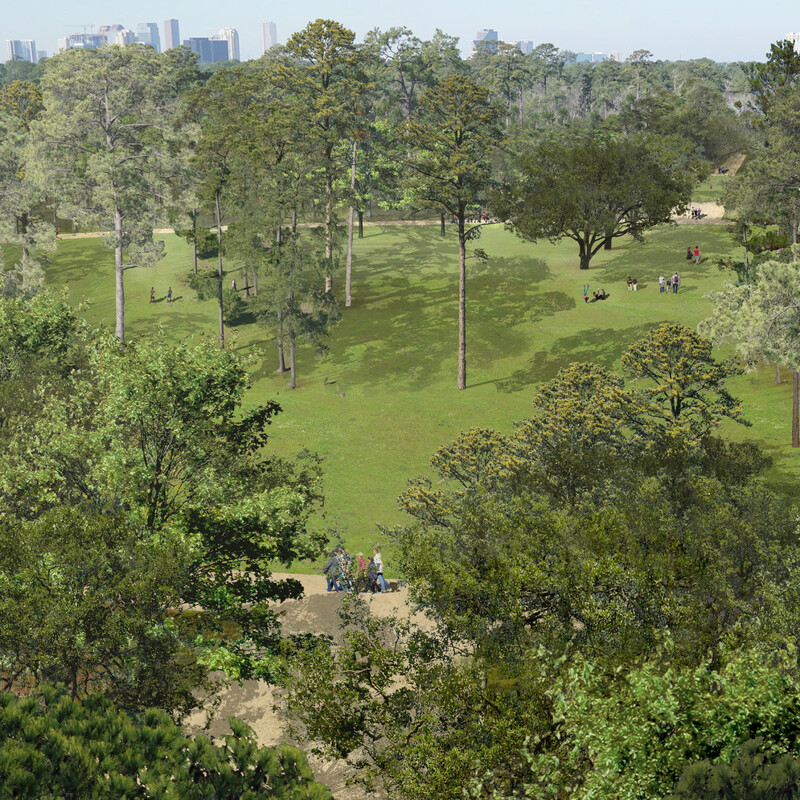 Memorial Park Conservancy has announced that work on the Memorial Park Master Plan will begin in November with the first stage of development in what will be called the Eastern Glades, a 113-acre area located north of Memorial Drive. 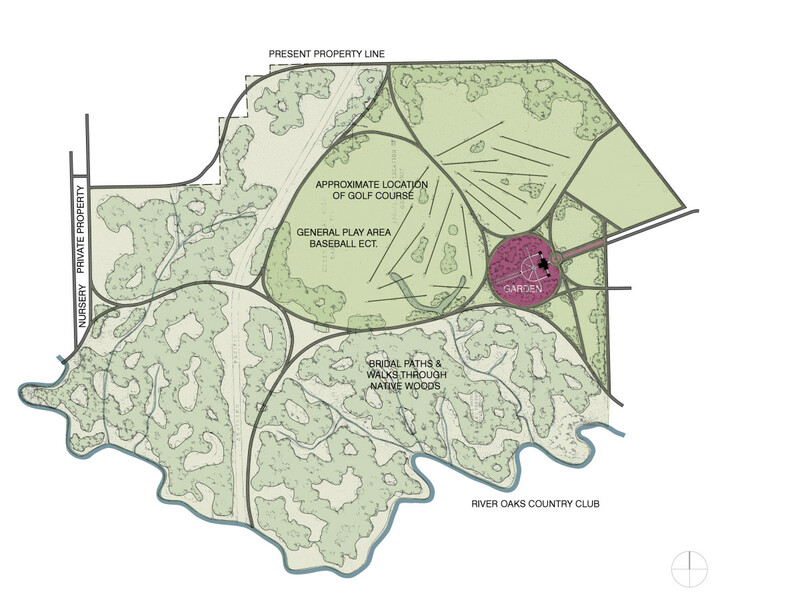 According to the conservancy, the parcel located between Memorial Park Golf Course and Crestwood subdivision will become a "passive recreation area" surrounded by a restored savannah and pine-hardwood forest. At present, the area is bisected by the existing East Memorial Loop Drive. 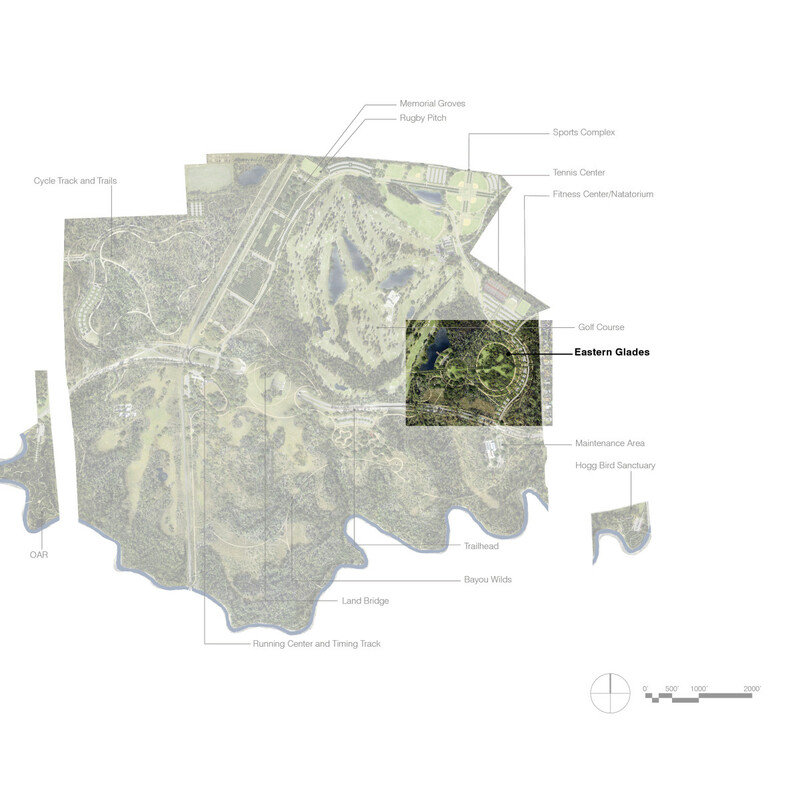 Plans include shifting the road eastward in order to connect the surrounding 83-acres that are currently divided. 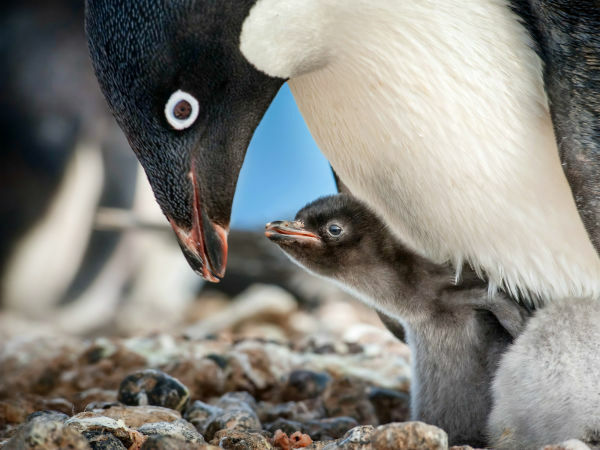 The result will be preferable contiguous habitat areas. 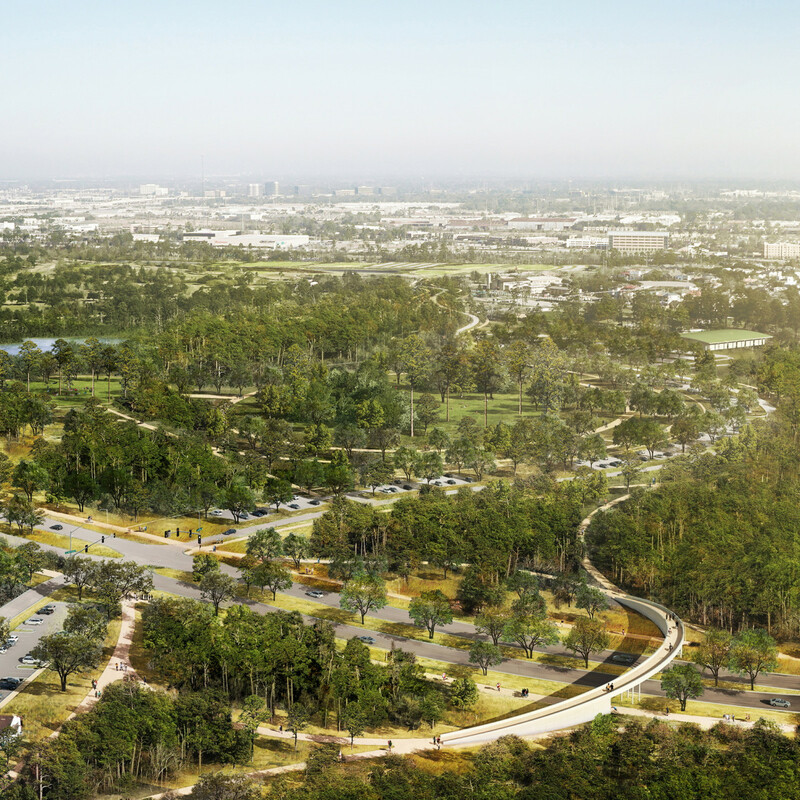 Thomas Woltz — owner of Nelson Byrd Woltz Landscape Architects, the firm leading the design of the park's Master Plan — notes that inspiration for the Eastern Glades came from an unrealized portion of the original Hare & Hare master plan, which was the park's first master plan drafted in the 1920s. 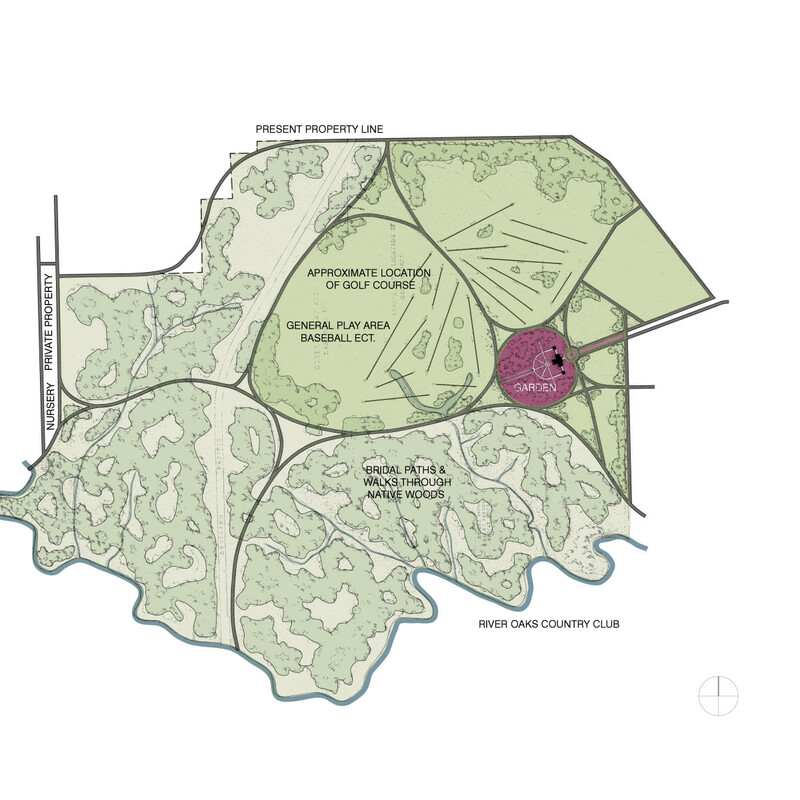 Incorporating the gently curving paths and simple geometry of that era, Woltz planned the Eastern Glades to frame a public space within the "urban wilds" of the park. 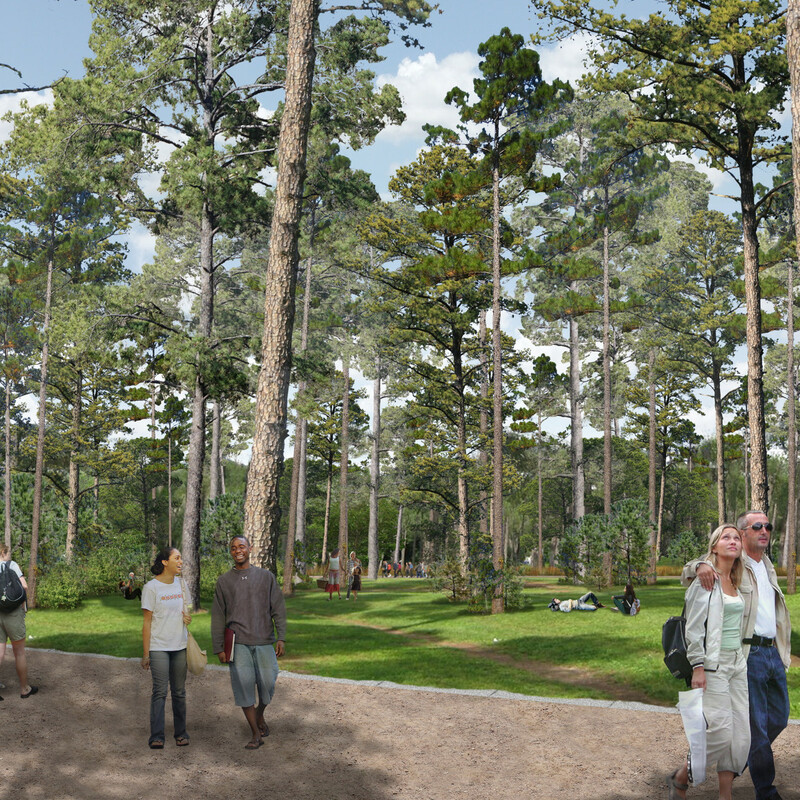 The Eastern Glades are envisioned as two large green spaces where existing trees are preserved to create a shady and quiet space with wide promenades to allow for leisure walking. 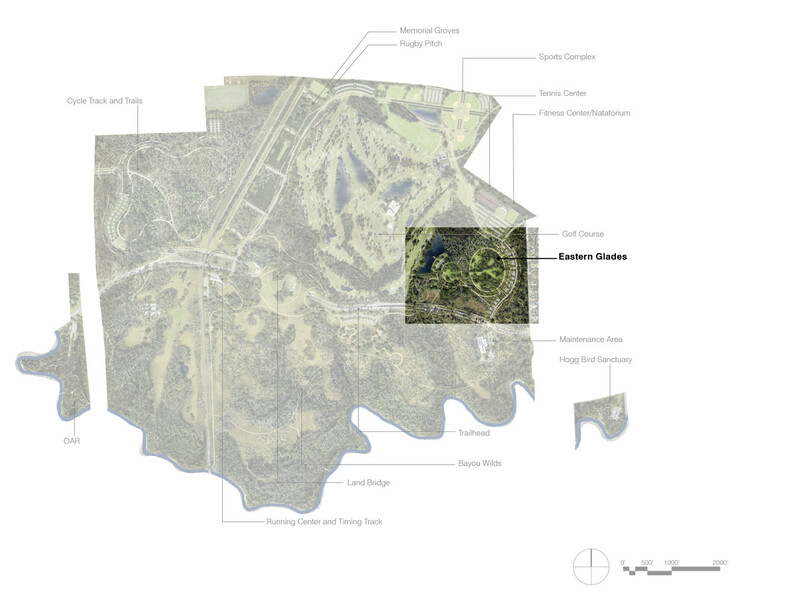 The plan proposes a large pond to the west of the green spaces that will provide views to water and wetlands. 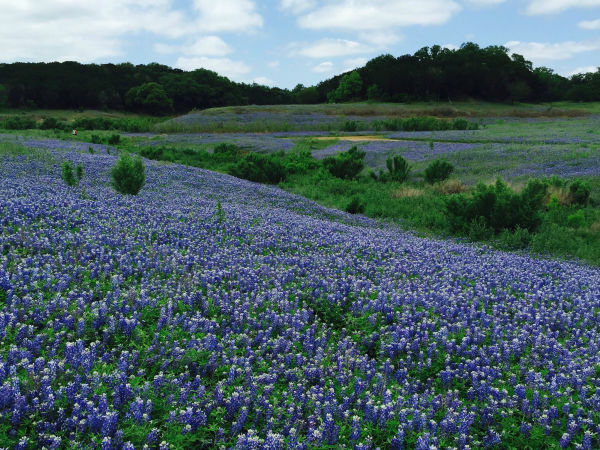 These areas will adapt the ecological restoration recommendations from the Master Plan to increase habitat quality and diversity, in keeping with the project's goal to balance conservation with recreation opportunities. 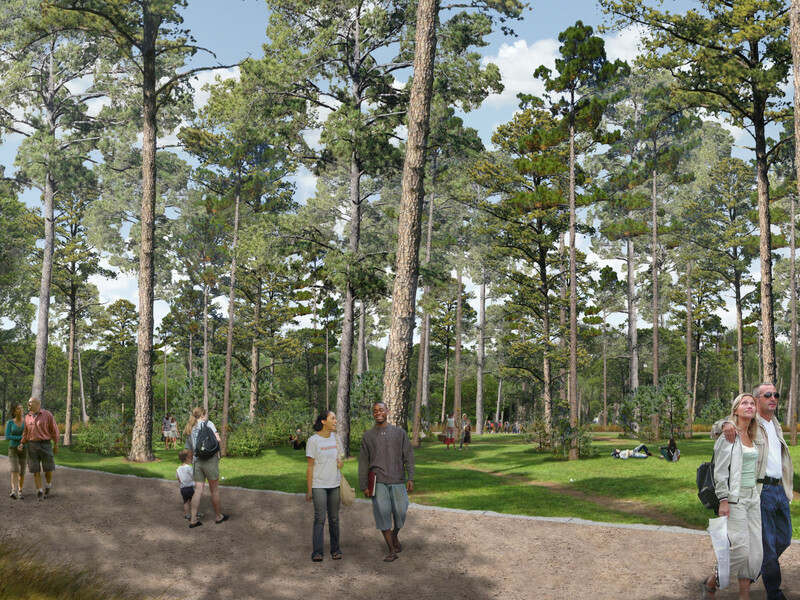 "The Eastern Glades will provide an amenity that we do not have right now: A place to put down a blanket and read a book, relax on a park bench, or go for a leisurely walk and just enjoy being outdoors," Shellye Arnold, CEO of Memorial Park Conservancy, said in a press release. The project is expected to be completed in January 2017. 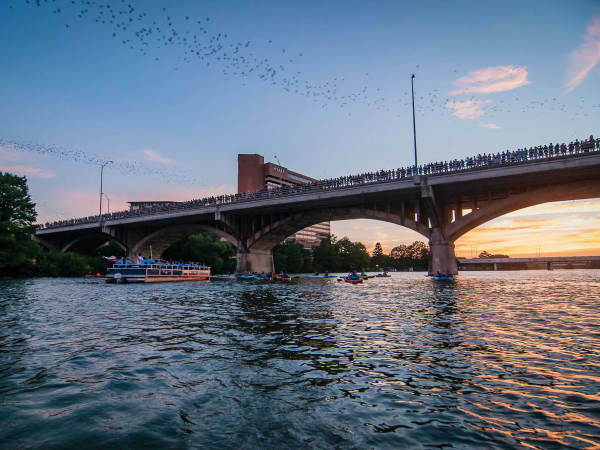 Infrastructure improvements will be another important aspect of the project, set to include storm water management systems for improved drainage and promoting responsible resource management. The creation of a new pond and wetland will enable the capture and reuse of storm water for irrigation while providing a new habitat for wildlife and general beautification for park user enjoyment. 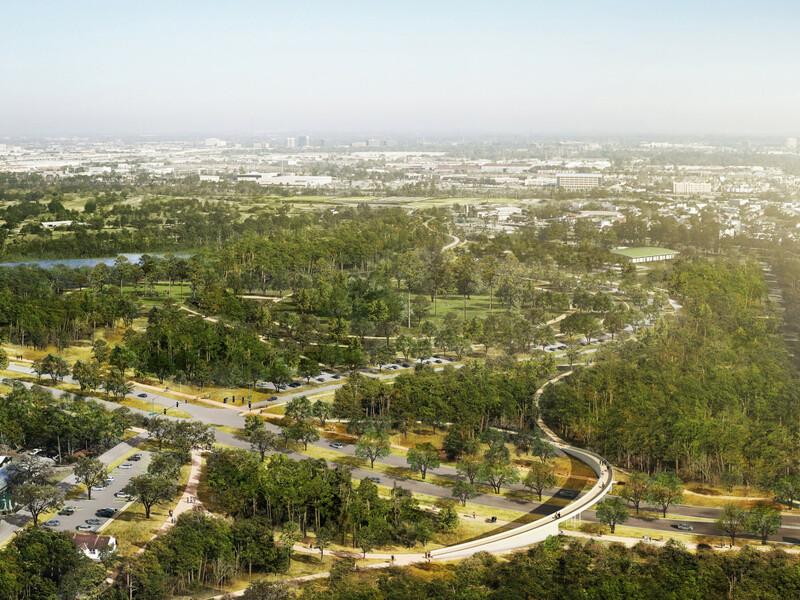 Total cost for the Eastern Glades project is estimated at $25 million with a $5 million commitment from Uptown TIRZ. A groundbreaking ceremony is planned for November when the push will be on to raise the additional $20 million through private funding. 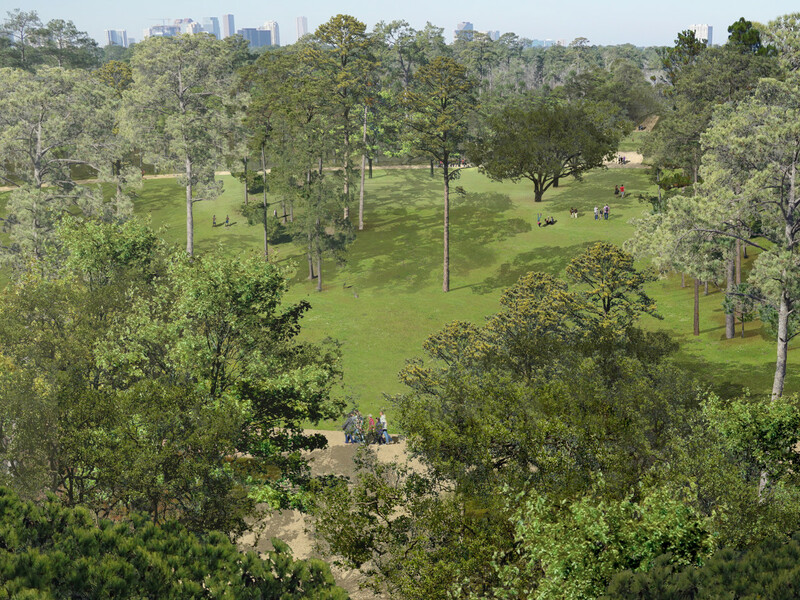 While the Master Plan is being implemented with Eastern Glades first, there are other initial projects currently under development, including: memorial groves, the Hogg Bird Sanctuary, a new 12" waterline, the Buffalo Bayou Gateway at Woodway, Bayou Bend Bridge repair, infrastructure work, a timing track, a sports complex (phase 1), an East/West hike-bike connector and entry gateways.